Dale the dealership manager and Felix contacted me after leaving the dealership and offered to bring the vehicle to my house so I could test drive it and purchase it if I wanted to. I was very impressed as I didn't think they would be willing to do something like that given the fact that I live an hour and a half away. Felix drove the car to my house and I decided to buy it. The dealership and especially Felix made the buying process extremely easy. We communicatedvthrough phone and the entire process took way less that I though. Purchased a car there last week and every one there was great. As soon as we got there someone came to us to help us Eli Cruz was amazing he let me test drive the vehicle and was very friendly and polite. As you know purchasing a car is a long process so we had to wait in the meantime they did all the paper work Eli was very attentive the whole time making sure we were comfortable and didn't need anything. I recommend this dealership to anyone. They were able to give a great price and explained everything for me to understand without me having to ask. Excellent quality service!!! I am very satisfied with the work that was done on my truck. It had some scratches, which were fixed exactly as a brand new truck. The color paint was the exact color. The customer service was also wonderful!! The shuttle service was also fast and great!!! It was a pleasure taking my truck to this shop!! I will definitely go again!!! Great experience, left the dealership a satisfied customer. Service and body shop are excellent. Purchased a Jeep from the Gilroy dealership. Worst experience ever. Got the car home and found out it didn't have the front license plate mounted. Called South County who said I could bring in the car and leave it for the day. Huh??? Emailed Jason at Normandin in San Jose. Very prompt and helpful email. He said to bring it in anytime and they would do it while I waited. Just dropped by and was assigned to Alex, a mechanic. It took him all of 3 minutes with a drill. From pulling up to pulling out, it was less than five minutes. Awesome customer service. This will now be my dealership of choice. Just sorry I didn't buy here. 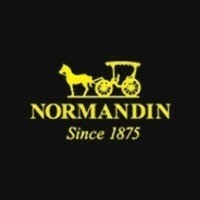 Thanks Normandin!!! I just bought my Fiat 500 e at Normandin Chrysler, I HAD THE BEST SERVICE starting with my excellent sales associate Braiden Cameron, and continuing with a very efficient manager, Warner who gave vital information which helped me in making my decision! My financial associate Thi was so warm and delightful that I want to come back just see her. And the icing on the cake is a fantastic about town small electric car to get places close by in Santa Cruz! Thank you all for your gracious professionalism. A huge thank you to Eladio for making sure the car met all of our needs and Warner for working so hard to get us the right price!! You guys went above and beyond to help us drive away in my dream car and I am so grateful!! Had the best service ever!!! Al ELI Was the best... he listen and gives you want You wantand need !! !